There are lots of interesting happenings in Anglican land these days with the inaugural Convention of the Anglican Church of North America on the one hand, while on the other those of us within The Episcopal Church gear up for next month’s General Convention. This is an especially stressful time for those who belong to or support the group known as Communion Partners as it becomes (in my opinion) less likely that The Episcopal Church will display a broad openness to the proposed Anglican Covenant. With the close of ACNA’s convention, and their resolution that they are prepared to adopt such a Covenant at the appropriate time, the stage is set for the interesting situation of The “official” Anglican body in the United States (i.e. The Episcopal Church) to reject the Covenant and therefore deeper participation in the global Communion (if not membership in the Communion per se), while the new province being formed by the various splinter groups is waiting in the wings to move into a deeper relationship with the Communion as a whole, and not simply their sponsoring provinces–assuming of course, that the Communion as a whole survives. Simultaneously, the narrative that seems to have gained momentum within the Episcopal Church regarding so-called “dissenters” is such that those who support the adoption of the Covenant (and, therefore, continued growth into a world-wide Communion rather than a Federation) are seen by some as traitors. Likewise, those who do not support the liberalization of the denomination are seen as ignorant and often bigoted. And this conflict is, of course, happening at a most inopportune time when it comes to the health of the Church on much more prosaic and foundational grounds. As the State of the Church report noted, TEC is loosing the rough numerical equivalent of a Diocese every year to death, even when accounting for total births (and assuming that all those children will remain Episcopalian–wishful thinking indeed). All of this makes for a very interesting situation. Not only interesting for those within The Episcopal Church and Anglicanism generally, but also for those engaged in ecumenical conversations with Anglicans. For example, I have been asked to speak on a panel focused on the topic of the Catholic vocation of Anglicanism. As I’ve reflected upon how to put this vocation, as I see it, into words, it has been interesting to see it demonstrated by the recent inaugural convention of the Anglican Church in North America. Leaving aside other questions and opinions for the moment, I find it interesting that the major convention speakers at the ACNA Convention included the well-known evangelical mega-church pastor Rick Warren, as well as the once-was-Episcopalian Metropolitan Jonah of the Orthodox Church in America (I’m finding that there are a lot of people around who “used to be” Episcopalians–you find them in the most interesting places). This is important, because as I understand it, one of the vocations of Anglicanism is to stand as an interpreter of practice, language, tradition, and of theology between the churches of the Protestant world and the ancient Christian churches, i.e. the various Orthodox churches and the Roman Catholic Church. I do not believe that this is so much a matter of being a “bridge church” as many have visualized it. As a late Bishop once told me, the joke in ecumenical dialogues was always “who want’s to live under a bridge!” And of course, few people want to spend their spiritual lives in a place that is transient. Instead, I mean that Anglicans, to the extent they serve as a bridge, do so by means of the comprehension that the best of Anglicanism demonstrates. 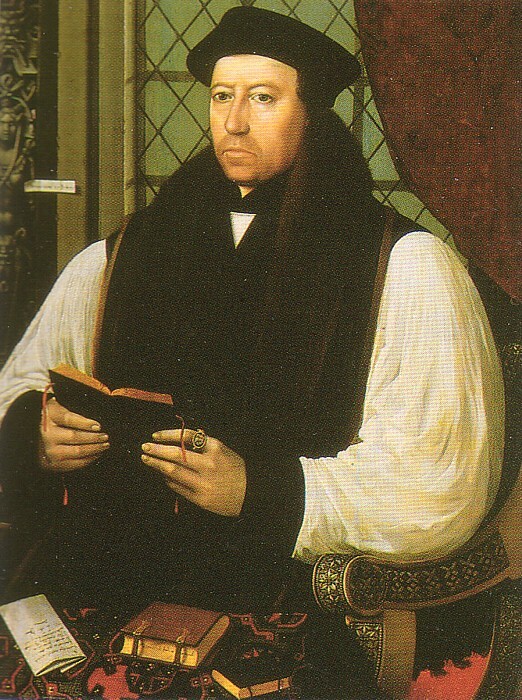 This comprehension has, of course, been the source of derrision directed at Anglicans from other corners of Christendom: “Come out from Babylon” some protestants might say, “complete the reformation!” While Roman Catholics (and now Metripolitan Jonah) often exhibit a desire to see Anglicanism purge anything that can be considered protestant or reformed. Just as some German academic theologians of the past have ridiculed Anglicans for doing theology to the sound of Church bells–and therefore not being rigorous or systematic enough–so have the different parties of Christendom critisized Anglicanism for not being “pure” enough, for not following on what they percieve to be the logical and therefore faithful course of action and fully aligning with one consistent theological camp or another. If you want to be Reformed, they might say, then be like the Presbyterians. If you want to be Catholic, other say, then you must look like Roman Catholics, if you want to be Orthodox, you must believe exactly as the Eastern Churches do. Critics of Anglicanism who are deeply commited to their own taditions–particularly those wedded to a sort of internat consistency within their traditions–are often infuriated by what they see as the greatest Anglican fudge ever: the broadness of Anglicanism. The rhetoric of such critics is particularly loud (and in some cases obnoxious) now, as Anglicanism is wracked with internal divisions. “See” they say, “the Elizabethan settlement was bound to fail! Your church is a hodgepodge, an ecclesiastical Frankenstien’s monster. You should see that now! And now that you’ve seen it, won’t you admit your failure and come be like us!” To a certain sort of Christian, the very existence of Anglicanism is an affront to their religious sensibilities. Anglicans hold diverse views on theological matters not because we are striving for peace, but because we are striving for truth. Anglicans have believed that one must draw the theological circle wide in order to encoumpass enough ways of speaking about God so that what is said may be balanced and countered and not become distorted. Two examples of this idea of comprehension are related to the sacrament of the Eucharist and the doctrine of the atonement. In each case, Anglicans as a whole have been reticent (I believe appropriately so) to nail things down too tightly. Indeed, there is a case to be made that nailing things down too neatly, explaining them too well via one theory, is to be unfaithful and to ignore elements of scripture. Take the various theories of the atonement for example. Many protestants gravitate toward the penal-substitution or sacrificial theory of the atonement. Unlike some contemporary liberal theologians, I do not believe there is anything wrong or dangerous about such a view of the atonement–unless it is held exclusively. And the same is true of the other views of the atonement–when held exclusively, I believe they begin to distort our views of God, while holding them together as expressing different aspects of the same glorious event, encourages a more three-dimensional view of God’s character. All one has to do is read the letter to The Hebrews to see the majority of classical atonement theories expressed in the words of scripture–so staying close to the word prevents too great a reliance upon a single theological explanation. But what does this comprehension have to do with Anglicanism’s vocation in the greater Catholic Church? I believe it is the comprehension what we’ve (thus far) been able to maintain, that would allow an Anglican to talk to a Rick Warren and understand the tradition out of which he speaks and then turn to a Metropolitan Jonah and express that tradition in a way that makes sense from the perspective of the historic church. What I am talking about however, isn’t a simple intillectual understanding–I’m not saying that Anglicans are like ecclesiastical translators, nor am I saying that such a role is necessarily needed. Rick Warren can talk to Metropolitan Jonah perfectly well and they can understand one another on an intillectual level, no doubt. The importance of Anglicanism is that it allows within itself a degree of expression, bound by the liturgy of the Book of Common Prayer, which enables a person to experience worship in a manner that is more or less close to either of these poles of Christianity. This is why, when the Covenant authors got together in Dallas for our retreat, an evangelical Anglican from England was able to worship in an Anglo-Catholic Church in Dallas and participate in worship–and while he may not have taken part in some of the devotions, I know that he understands them. The same would be true in reverse as well. This is not to say that people don’t have their own beliefs about which way is “better” or more faithful–but it is to say that there is a latitude allowed, and a respect given out of a recognition that we are part of one body, whether we like it or not. And I find that to be a possitive thing on the whole, rather than a negative. I wanted to share Rowan Williams’ Advent reflections with you as we prepare to enter this season in which we wait… and by so doing, recall that the Christian life is one of anticipation. Originally over at the Hot Rod Anglican blog.